Programme looking back over the bakes of the 2014 series and catching up with what the bakers have been doing since. 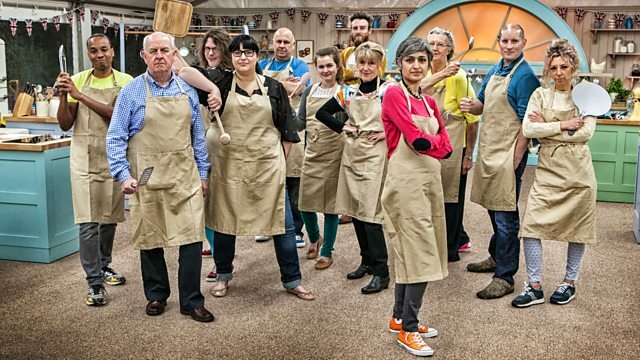 Bake Off 2014 was compulsive viewing and caught the imagination of the country. This programme looks back over the incredible bakes of the last series, from Luis's amazing 3D biscuit scene, via the technically challenging schichttorte to Ian's binning of his baked alaska. We hear what the bakers from 2014 really thought about their time in the tent, share their memories and catch up with what they have been doing since. Ever wondered who draws those perfect bakes? Tom tells us what it takes to create a Bake Off masterpiece, in the form of a sketch.